The BAR hasn’t actually changed its stance on parts disclosure, the new wording of its regulations merely serves to “reclarify our position,” BAR Northern California enforcement program manager II Tim Bowden said Monday. The BAR had seen a trend of parts being labeled with nebulous terms like “LKQ” or “Alt-OE.” Bowden said such a label “does not meet the requirement” of telling customers what kind of parts are actually being installed. “It’s just a clarification,” Bowden said. The California Code of Regulations had already demanded that all parts be defined as new, used, “rebuilt” or “reconditioned” for body shops and mechanics and the state Business and Professions Code said the same. 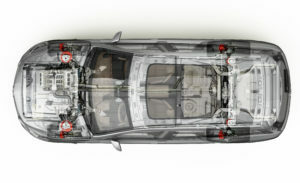 The revised language to state code reiterates the rule applies to both segments of the industry — the original § 3353 seemed to suggest only collision repairers needed to worry about it — and declares that all parts should be assumed to be new unless identified as one of the other three categories. (a) Estimate for Parts and Labor. Every automotive repair dealer shall give to each customer an estimate containing the estimated price for parts and labor for a specific job prior to obtaining authorization. Each part listed in the estimate shall be new unless specifically identified as a used, rebuilt or reconditioned part. (b) Estimate for Auto Body or Collision Repairs. Every automotive repair dealer, when doing auto body or collision repairs, shall give to each customer an itemized estimate containing the estimated price for parts and labor for a specific job. Parts and labor shall be described separately and each part shall be listed in the estimate. Each part listed in the estimate shall be new, unless specifically identified as a used, rebuilt, or reconditioned part. Each new replacement crash part listed in the estimate shall be an original equipment manufacturer (OEM) part unless specifically identified as a non-OEM aftermarket crash part. The BAR said it made the changes to Part (a) reiterating that the rules applied to all parts, be they mechanical or collision, after hearing comments from LKQ lobbyist Catalina Jelkh Pareja (Ebenezer SDG Group) and State of California Auto Dismantlers Association lobbyist Gavin McHugh (McHugh, Koepke & Associates). Tweaking Part (b) to declare that all crash parts must be new OEM “unless specifically identified as a non-OEM aftermarket crash part” was done to address the appearance of terms like “Opt-OE” on estimates. The California Business and Professions Code already said all auto body shops must on estimates state whether “the crash part is an original equipment manufacturer crash part or a nonoriginal equipment manufacturer aftermarket crash part,” the BAR noted. Molodanof called the regulations “Great News” in a post on the CAA website. 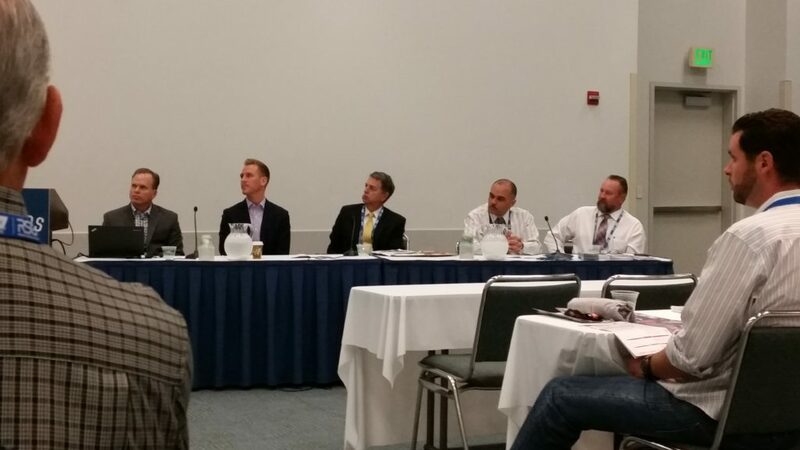 Jaime Ramos, BAR Southern California program manager II, recalled speaking at NACE 2016 about the issue of parts designated outside of clear-cut categories. If collision professionals didn’t know what they were buying, how could a consumer make an “informed decision,” Ramos asked. “That’s our whole reasoning,” he said. Insurance companies weren’t subject to BAR regulations and could call parts whatever they wanted on their estimates, but it was the “shop’s responsibility” to convey the type of parts customers were receiving in an understandable manner, according to Ramos. However, the California Department of Insurance on Oct. 4 confirmed that insurers also had a similar duty. Ramos stressed that “there’s a market for everything,” but a consumer should make the decision about what to buy. Ramos recalled that when he started at the BAR, the agency reached out to the estimating services and told them terms like “LKQ” were “not acceptable” for customer information purposes in the BAR’s eyes. It also frowned on jargon like “R&R,” which a customer might not understand. The information providers were “quite receptive” to this and made changes, but over time, the issue has resurfaced. 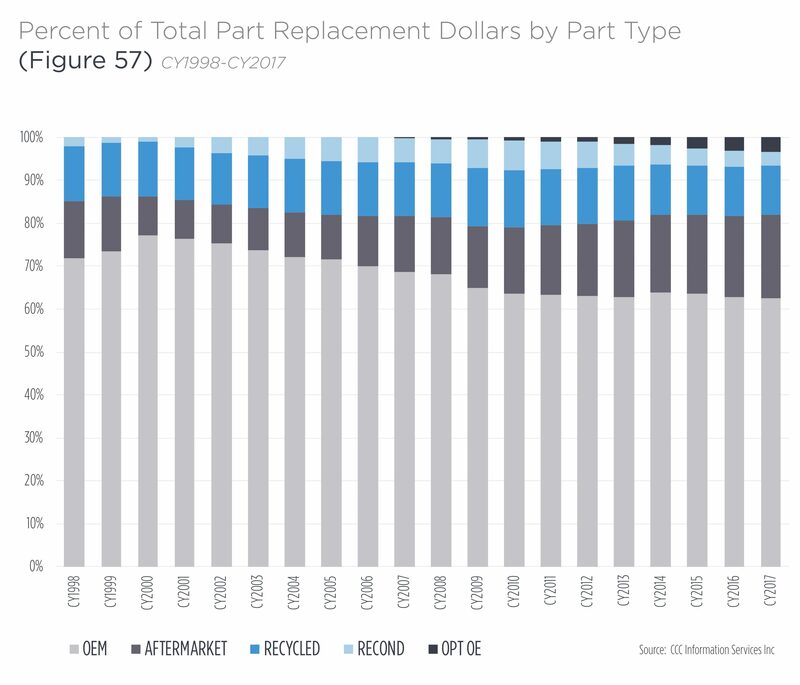 With the exception of refurbished OEM parts sold as Opt-OE, the argument is such parts are new or surplus new OEM parts, unable to snag a “new OEM” designation because of their nontraditional channel but not “used” parts either. Unfortunately, while the vendor might be acting in good faith by labeling those parts Opt-OE, the shop has no way of knowing for sure what they’re buying. You’re trusting not just your “Opt-OE” supplier but whoever sold them the parts that the components are truly off-channel new OEM parts, rather than nice-looking recycled or refurbished parts, really good counterfeits, or something sold in another country and imported. Would Opt-OE parts believed to be surplus or new therefore be labeled “new”? The BAR wanted transparency and “full disclosure” to a customer about what they would receive on their vehicle. If a secondary vendor — not the dealership — was selling what they were calling OEM production overruns, say so, he said. A secondary concern would be whether the part had a manufacturer warranty, Ramos noted. (Or preserved the warranty on other components should the part in question fail, we’d argue.) The regulations don’t discuss this topic, but “I think that’s part of full disclosure.” he said. If what a third-party vendor thinks is new OEM and wanted to label Opt-OE or even new OEM wouldn’t carry the manufacturer warranty, this “should be disclosed” to the customer, Ramos said. Ramos said that a manufacturer which does sell surplus parts under a separate program might say “‘those parts don’t carry our manufacturer warranty. '” General Motors said it operated in this fashion when contacted a few years ago about its Opt-OE programs. Ramos encouraged repairers to “just be cautious” when buying something highly discounted. Bowden said the BAR would do “a little bit of everything” to enforce the regulations, using both customer complaints and audits of shop records. It tries to educate rather than penalize, but sometimes behavior is “beyond educational” and can trigger penalties like probation, criminal prosecution or license suspension. Asked if the BAR was considering expanding its definition of a “crash part” important for safety because of advances in automotive technology. For example, a plastic bumper fascia suddenly might have an impact on safety because of a sensor located behind it. “We’re looking at everything,” Ramos said, but he couldn’t share anything specific at this point. Shops interested in hearing more from the BAR should attend a public workshop Oct. 18, scheduled for after its advisory board meeting.